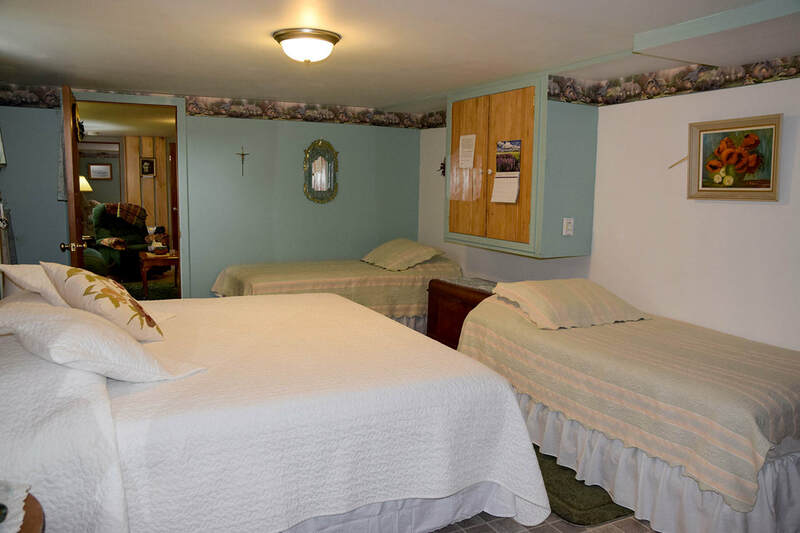 Beautiful family suite with 1 king size bed and 2 single beds. Perfect for the travelling family. Full private washroom, family room, fully equipped kitchen and washer/dryer. Heated floors, cozy bedding and a wood stove to keep you warm in winter. Perfect!